Fine design can make any meal feel like fine dining with the Artek Siena White/Blue Small Paper Napkins. Designed for daily use as part of Alvar Aalto's abc Collection, this pack of 20 showcases a simple yet bold print on a practical paper napkin. The Siena print was named after Aalto's favorite vacation destination, Italy, and the architectural influences of his background can be seen in this powerful pattern. This set is also perfect for parties as it is both captivating and convenient. 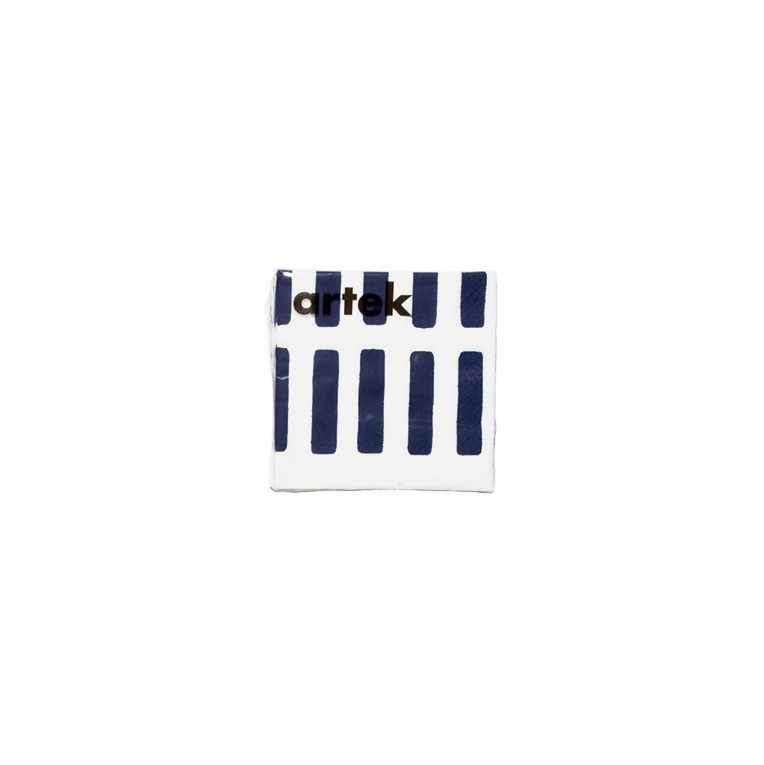 The Artek Siena Small White/Blue Paper Napkins will add iconic style to any table setting. Measurements: 4-3/4" x 4-3/4" (12 x 12 cm) when folded. Please note: Artek logo is on packaging, not on napkin. Lead Time: In Stock - Ships Fast.